Dette var den første frontispice, som Christian von Mechel fremstillede tilbage i 1771. Douce skriver: »M. 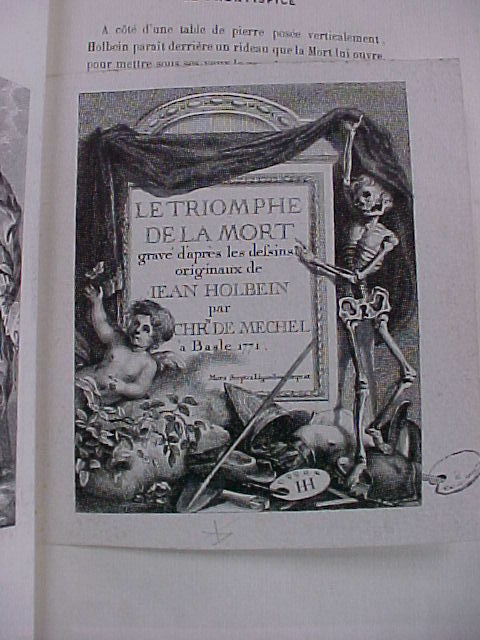 de Mechel had begun this work in 1771, when he had engraved the first four subjects, including a frontispiece totally different from that in the volume here described. There are likewise variations in the other three. He was extremely solicitous that these should be cancelled« (Side 135).